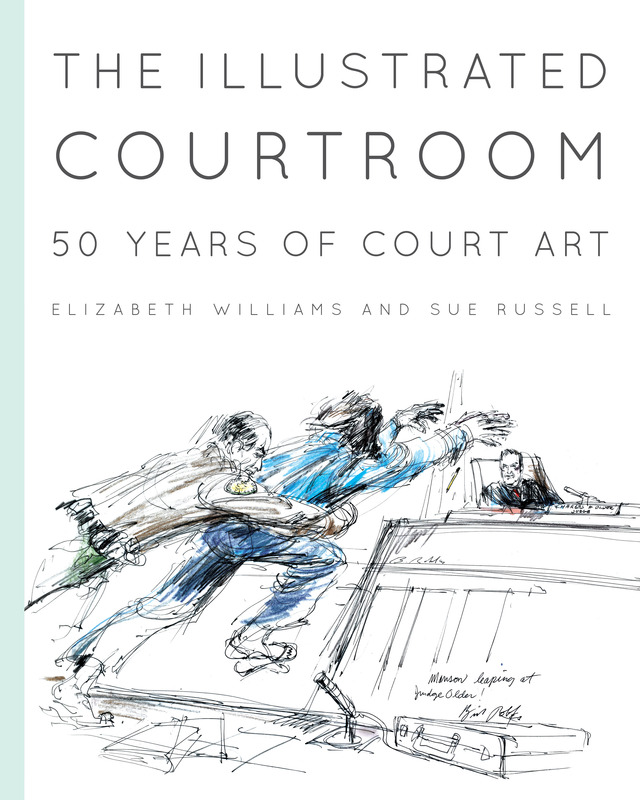 Our book The Illustrated Courtroom, the first ever outsized, full-color collection of important court art from major cases over the past half century, continues to earn national recognition. The eLit Book Awards, an independent organization honoring digital books, has bestowed two gold and two silver medals on the book for four different categories of publishing. It is the first time a single book has ever won four awards, and reflects The Illustrated Courtroom’s cross-appeal at the intersection of art, law and journalism. The book, compiled by renowned artist Elizabeth Williams from her work and the work of four other famous court illustrators, won gold in the Fine Arts category for its drawings and in the True Crime category for the news coverage, including behind-the-scenes text from Sue Russell, of many of the biggest headline-grabbing cases in U.S. history: Charles Manson, O.J. Simpson, Michael Jackson, Martha Stewart, Bernie Madoff and more. The book won silver medals in the History and Graphics categories. For more on the awards, click here. For more on The Illustrated Courtroom, click here.